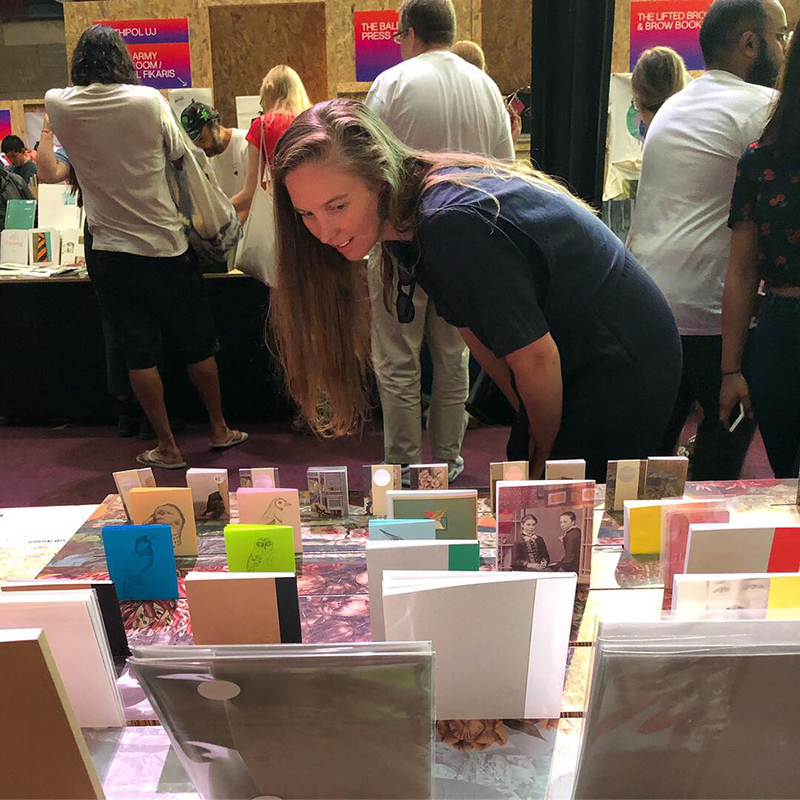 A 14.5cm X 19cm, 32 page colour zine with colour cover and a white spine. 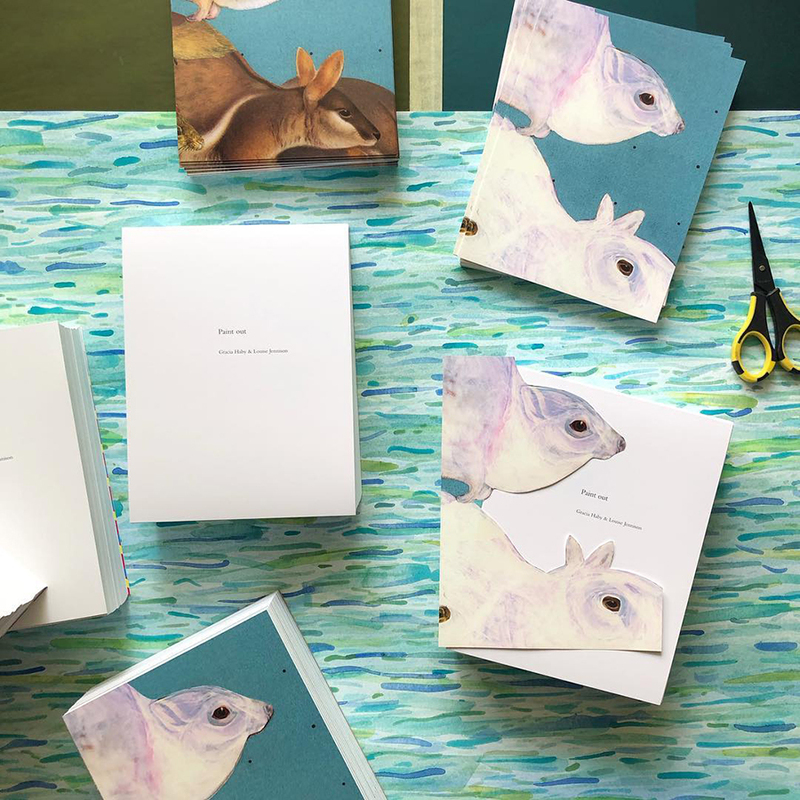 A zine compiled from collages as they were in the process of being painted out with white acrylic paint. 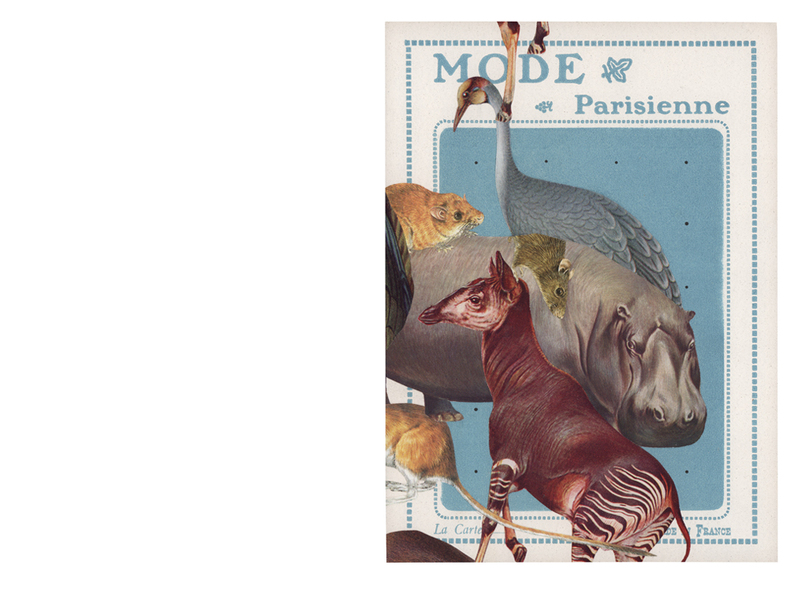 Six collages by Gracia Haby upon unused Mode Parisienne button cards, collected from Puces de Saint Ouen, Paris, in 2018, hand-bound by Louise Jennison into a zine for you to enjoy. 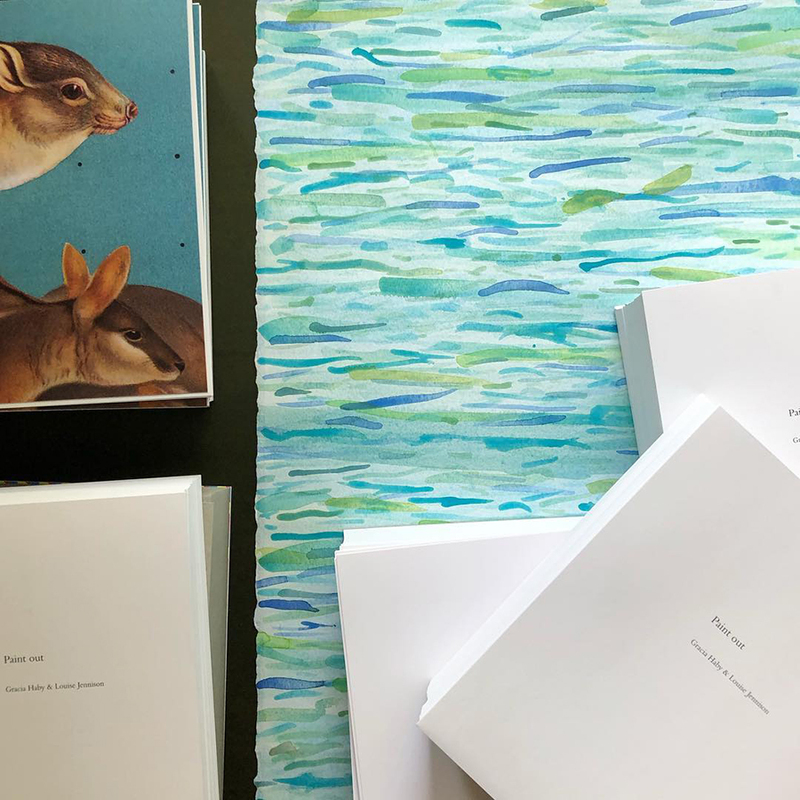 The cover is composed of two parts, one painted out (above) and the other (below) revealing the whole. 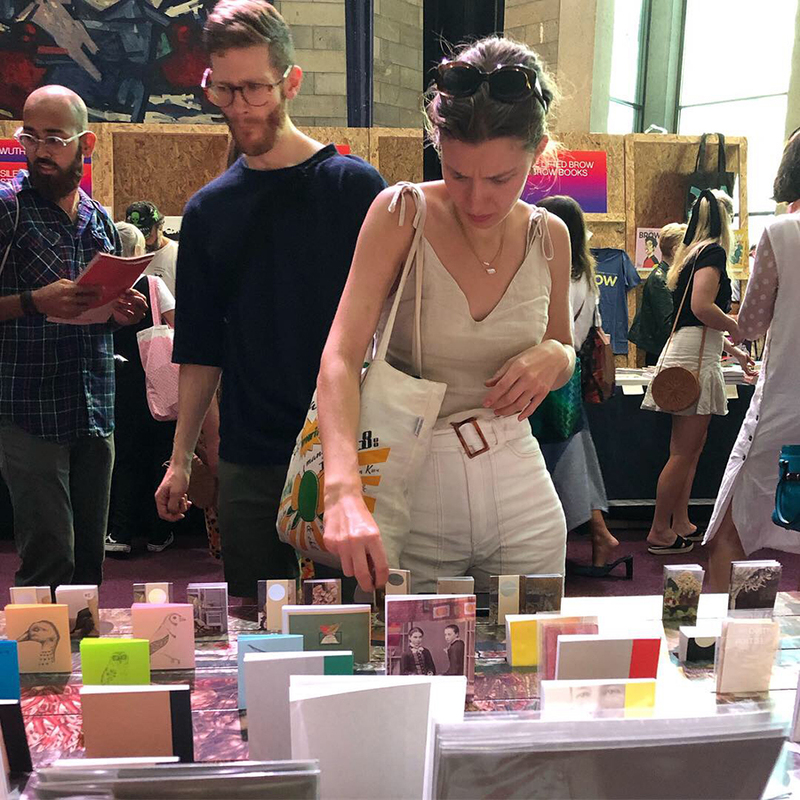 The original collages, recorded at various stages of being masked out with white paint, were created on the heels of our Ripples in the Open zine and collage workshop, with remaining pieces and lingering ideas. 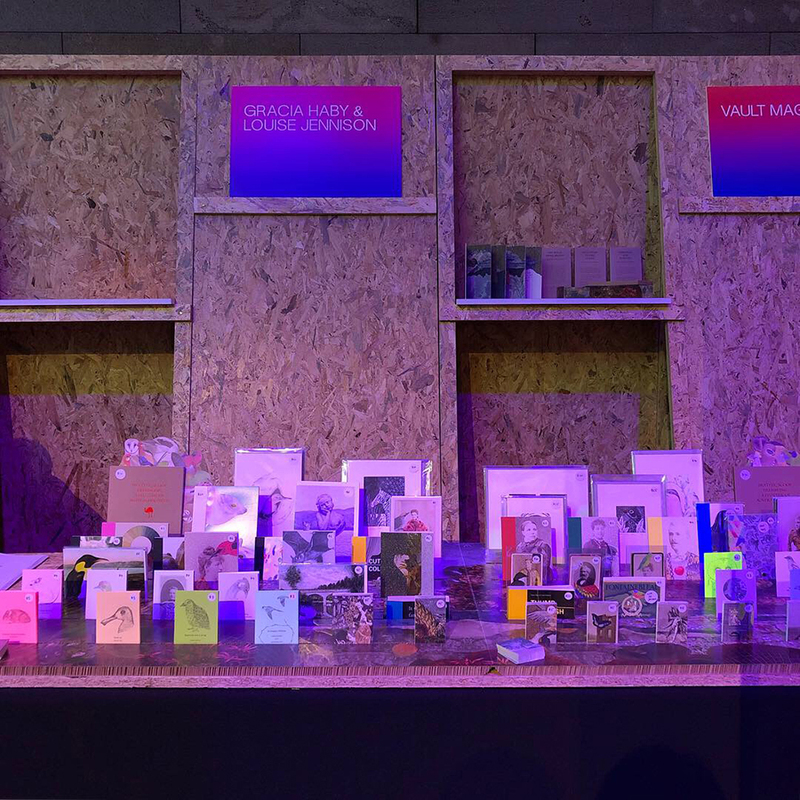 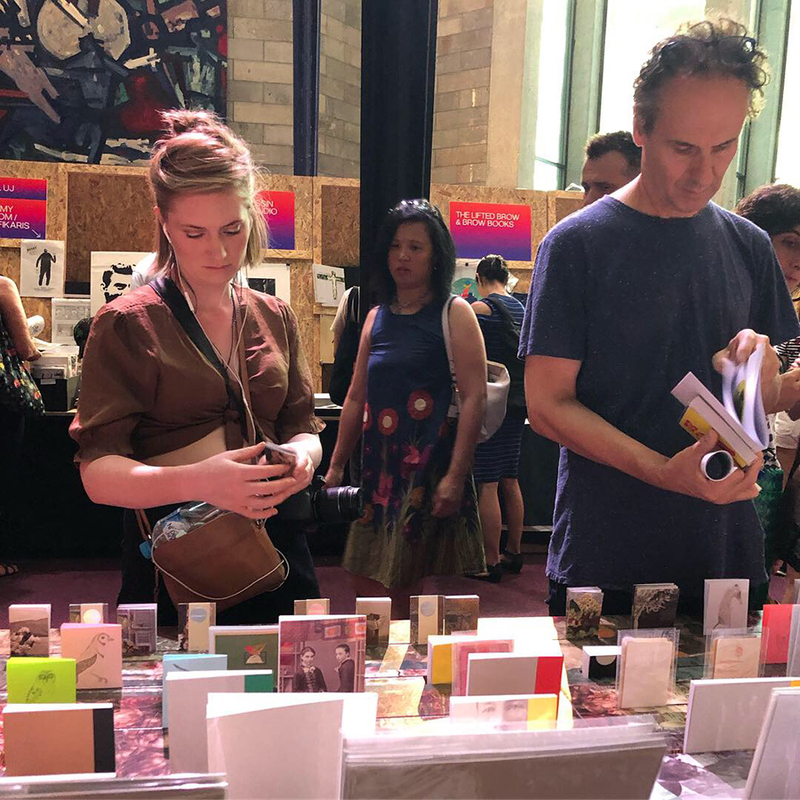 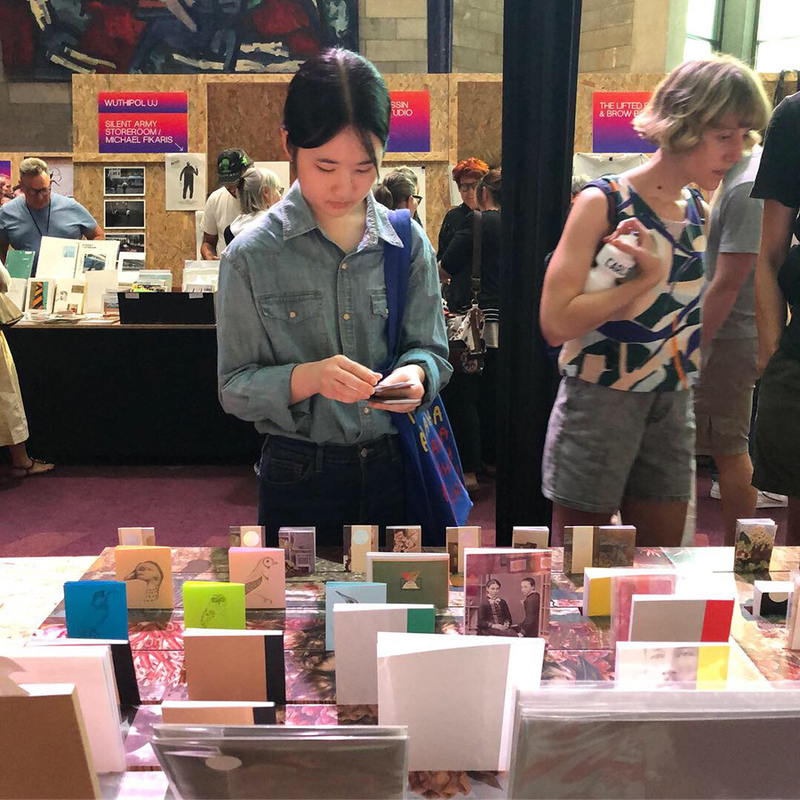 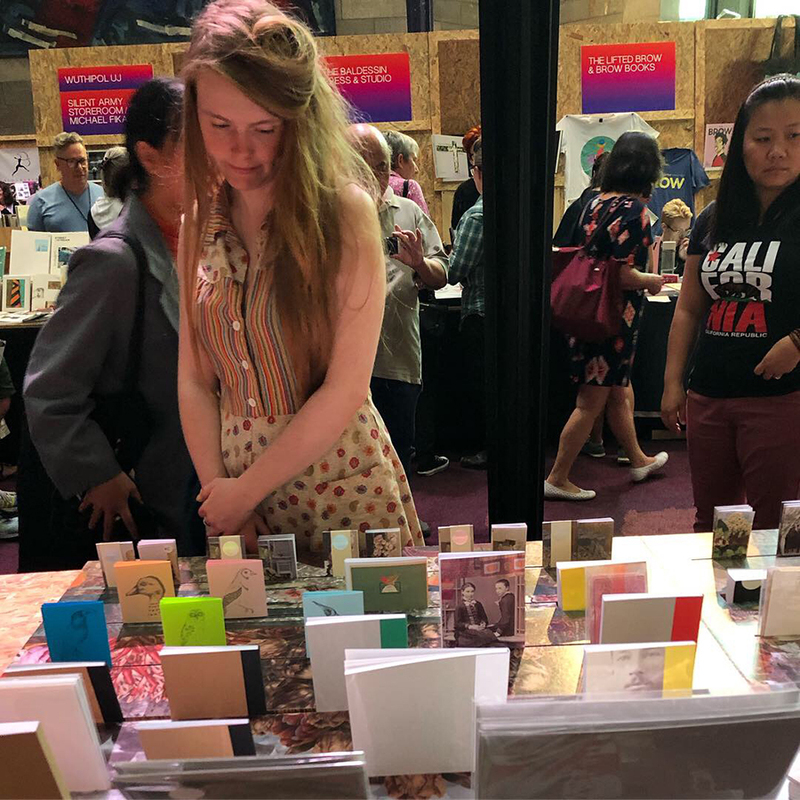 Paint out was released into the wild at Sticky Institute Festival of the Photocopier Zine Fair 2019, at Trades Hall.